The 23-year old and number 14 prospect in the New York Mets’ organization, Chris Flexen is up next on the New York Mets player overview. In 2012 the Mets took Flexen in the 14th round in the MLB Draft out of Memorial High School in Newark, California. Flexen spent the 2012 and 2013 seasons in rookie ball and his ERA went from 5.62 to 2.09. Flexen also earned Topps APP Player of the Year and Short-Season/Rookie All-Star honors. In 2014, Flexen spend the year in regular A ball and posted a 4.83 ERA in 13 starts. After spending parts of 2015 in the Rookie, Low-A, and Single-A leagues, he had a 2.42 ERA and was moving up the ranks in the Mets farm system. Flexen continued his success in 2016 in High-A, pitching 134 innings and having aa 3.56 ERA. 2017 became a year of highs and lows for Flexen. It started in spectacular fashion by having a 1.76 ERA in 61.1 innings between High-A and Double-A. 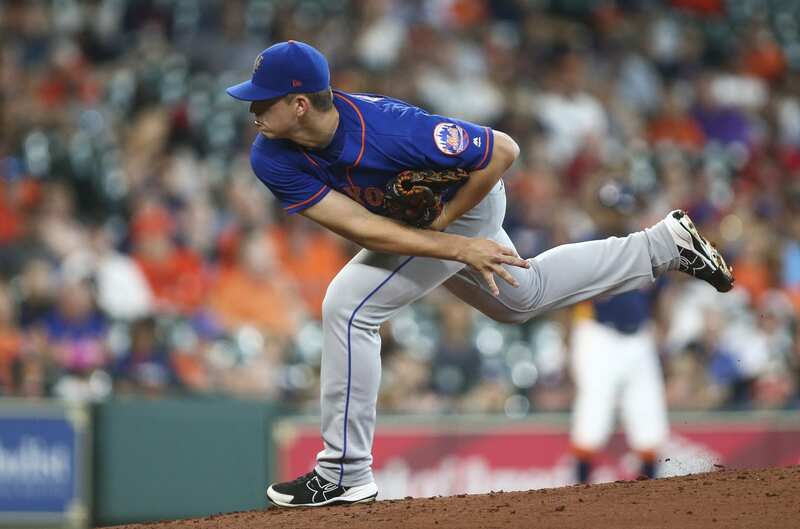 Flexen earned a call-up in late July to help a decimated Mets rotation but showed he was not ready to pitch at the big league level. There was no number that could be used as a positive for him. From a 7.88 ERA to a .321 average against to a K/BB ratio of 36/35, he could not catch a break. Flexen is heading into his age 23 season and still has another year to develop in to the pitcher he has been in the minor leagues. His body language showed defeat and a lack of confidence in September. The Mets will look for him to regain his confidence in the minors and learn from the minds of manager Mickey Callaway and pitching coach Dave Eiland in Spring Training. Flexen has good stuff but was still a raw prospect and would not have seen big league action if the Mets were not out of the playoff race. It will be a long shot for Flexen to make the team out of Spring Training, but a successful 2018 in the minors will give Flexen a good opportunity to come back to the Mets.